In 2017, we Canadians must take time to reflect upon our good fortune. The good fortune of having an inspirational leader of Justin Trudeau's intellectual caliber. Who would have thought that a young drama teacher and snowboarding instructor would come to acquire so much wisdom and knowledge in just four decades of life? It seems that Justin was right. In Canada, anything is possible. Until Justin Trudeau entered my life, I was but an ignorant fool, a prisoner of my own delusions. Until I heard his words of wisdom, I didn't understand that the Chinese Communist dictatorship was something to be admired. Or that all Cubans were in love with Fidel Castro. Nor did I appreciate that Justin, in his speculations about the motivations of the Boston bombers, demonstrated his expertise in social psychology. He nailed it. Islamic terrorism has nothing to do with Islam. It is just a manifestation of poor "excluded," alienated youth whom we need to reach out to. We must "include them" so as to relieve them of their sad isolation. Perhaps Justin neglected to "include" his tenure as a Self-Help guru in his resume. Dr. Phil look out. More impressive is his uncanny ability to be different things to different people. Who, for example, could possibly attend a mosque and walk in a Gay Pride celebration? Who could be a rock star at the Paris Summit on climate change and subsequently approve the Kinder-Morgan pipeline? Who could so convincingly proclaim his commitment to the environment while extolling the benefits of economic growth and globalism at the same time? Who could assign half of his cabinet posts to women as proof of his feminism while defending the wearing of the niqab? Drama teacher? Our Boy Wonder could have given acting lessons to Lawrence Olivier. The take away point here is that in their ardent support for Justin Trudeau, millennials have shown that Tom Brokaw was wrong. Millennials — not the people who stormed the beaches of Normandy — are "The Greatest Generation." The truth is, in issuing so much wisdom, Justin Trudeau was only giving voice to the innate wisdom of people who spend most of their waking hours texting and checking their Face Book page. And here I thought that the pathway to knowledge was found in scholarship! That shows just how pitifully misinformed and disconnected I am. 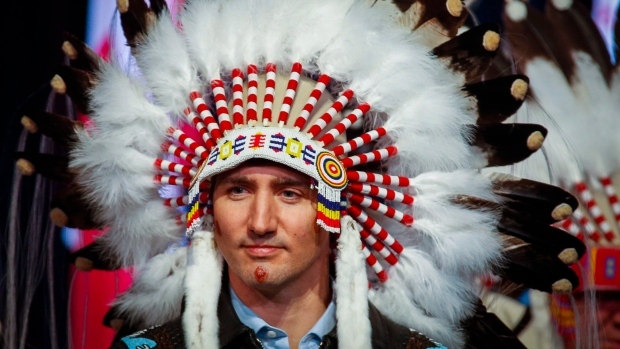 Having a sense of history is nothing but an encumbrance in this modern world, especially in a country which Justin has proudly declared to be the "first post-national state," cut from its moral moorings. Tradition? The cultural legacy of two founding peoples? How quaint. How "irrelevant." Justin's Canada is "home to the world," a mere microcosm of the United Nations. If old White boomers don't get that, too bad. The future does not belong to them. Even the past ain't what it used to be. 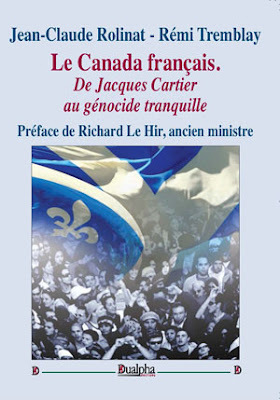 In case you haven't heard the news, the legacy of 'White settlers' and Canadians of European origin is nothing but a legacy of racism. Nothing good ever came out of them. No wonder Justin is so determined to eradicate our obsolete concepts of free speech and restore blasphemy laws. As he said, "Muslim values are Canada's values," so no Canadian must be permitted to criticize Islam. And that's all cool with our cosmopolitan, university-indoctrinated, globe-trotting millennials. They know so much more than ignorant, red-neck deplorables like me. After all, I don't eat sushi or listen to the CBC. God, I don't even use chopsticks. As Justin recently said, globalism is the way to go. However, characteristic of the humility and candour that is his trademark, he now concedes that many Canadians have been left behind. Tragically, they missed the bus on the road to prosperity and the sunlit uplands of a world without borders — or Europeans and their descendants either. But let us not despair. Justin has a solution. In order to ensure that marginalized Canadians get their fair share of utopia, he will fight for more social housing units. Ethnic cleansing for a roof over my head. Sounds like a fair trade to me. If only his predecessors had possessed this profound insight! If only puppet governors or Quisling governments had realized that their subjects would have gladly accepted their displacement by foreign conquerors and colonists if they had a strong social safety net! If Marshal Petain had done that, history might have been different. Ditto for the rest of occupied Europe. And there would have no need for Russians and Poles and Middle Easterners to risk annihilation by the Mongol hordes centuries ago. All a patriotic prince need have done is to do what Justin would have done in his place. Surrender to the invaders and placate the subjugated with the promise of affordable housing. There's a level of admiration I actually have for China. Their basic dictatorship is actually allowing them to turn their economy around on a dime. In casual conversation, I'd even use the word barbaric to describe female circumcision, for example, but in an official Government of Canada publication, there needs to be a little bit of an attempt at responsible neutrality. Now, we don't know now if it was terrorism or a single crazy or a domestic issue or a foreign issue. But there is no question that this happened because there is someone who feels completely excluded. Completely at war with innocents. At war with a society. And our approach has to be, where do those tensions come from? I have invariably found them to be strong-willed and very open about their choice, and how it is indeed their choice.